1. Income: Whether you are employed or unemployed, the bank will consider your income to give you a personal loan. Every bank has a certain minimum monthly income range requirement. The bank will also weigh whether your income can repay the personal loan sought. 2. 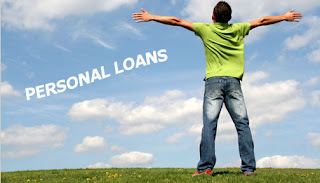 CIBIL score: Another important criteria that is considered during a personal loan is the CIBIL score. CIBIL score holds importance as the number assigned to each person representing his/her creditworthiness is considered by the banks while deciding whether a personal loan application should be approved or not. This number in CIBIL score is assigned on the basis of a customers’ financial behaviour, which is assigned through the information provided by the banks and other financial institutions. Financial behaviour includes dues, credit card payments, loans repayment and other kind of debts. 3. Relation with the bank: This is another criteria that holds significance while seeking a loan from your bank. The customer relation with the bank plays a pivotal role in convincing the lender to provide one a loan. 5. Other personal liability: Banks also take into consideration your other liability – like pending dues, loans from friend or known person.